Last week we worked at Sowerby Primary School, Thirsk. 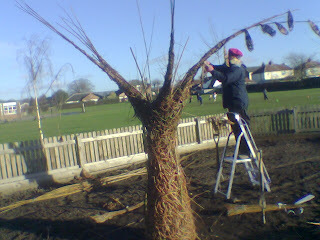 We were at the school for 4 days doing some living willow repairs and making a woven wishing tree for their new sensory garden. The ground was frozen for 2 days so we needed to make planting holes with a hammer and stake. 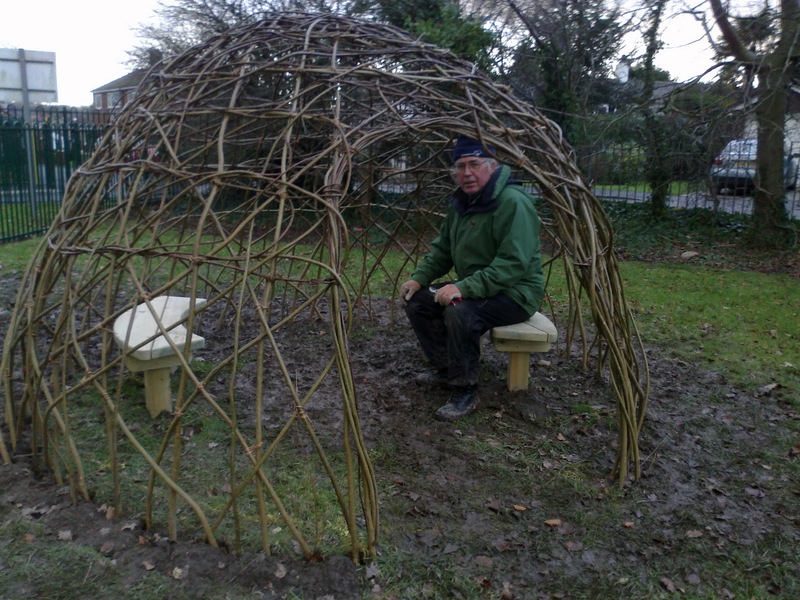 We repaired 3 tunnels and a dome that we had built with the children about 3 years ago. Then we made a snakey tunnel for the reception playground. All the children from reception planted a willow rod and tried out the finished tunnel. The we moved indoors, working in the school hall to make a tree with the older children. We made the trunk and branches separately for assembly outside so that we were able to get the sculpture out of the school doors. 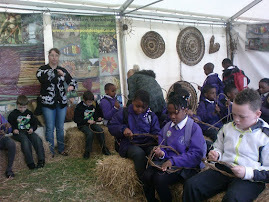 Of course it rained when we were outside putting the woven tree together!